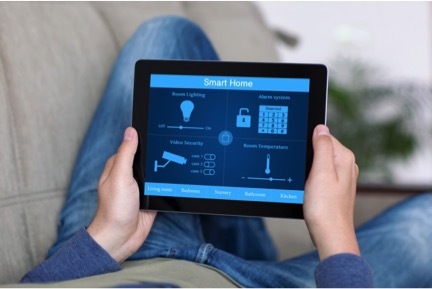 Over the last few years the global market for automated devices and apps for the home has expanded rapidly. 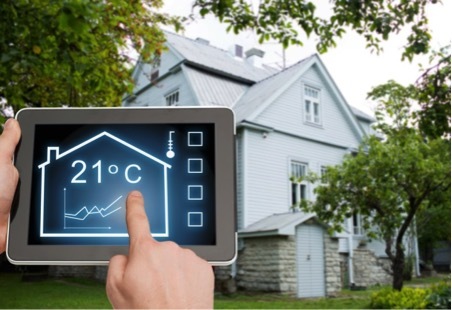 According to information released by Transparency Market Research, last year the value of the home-automation industry was a whopping USD$4.41 billion, with expectations that it will keep on growing and reach a massive $16.4 billion in just four years’ time. Many major (and start-up) technology brands have invested heavily in new gadgets and systems, and these days there is something available for pretty much every possible home-automation need. From lighting and security, to audio-visual entertainment, cleaning robots and smart HVAC and other controls, there have been developments across the board. However, for some people, this abundance of choice can be overwhelming. Are you someone who is keen to try out some of the great new home-automation products on the market, but are wondering what to start with, and if the technology will be easy to install? If these are your concerns, then relax and know that many of the most popular systems are as simple as “plug in and use.” Although it definitely pays to purchase top quality internet security to keep your information safe when using online apps and automated technology, home-automation systems can add value to your life. Read on for some popular items that are simple to set up and use, and that provide a good entry into the home-automation sector. Philips has been a leader in the technology arena for years, and the company’s popular Hue lighting system is testament to this. The simple-to-use lighting hub is a great example of home automation done right. The Wi-Fi system allows buyers to control the colors of their lights directly from their smartphones or other gadgets, without the need to have any experience with wiring or to call in an electrician. All you need to do to enjoy colorful lighting at home is to purchase the Hue hub and the specially-made LED light bulbs that go with it. First, plug the globes directly into the standard light fittings in your home, just as you would any other replacement globe. Next, just plug the hub, or “Bridge,” as Philips has named it, into an Internet router, and the light bulbs will “talk” wirelessly to their home base and, from there, to your phone. Once the quick and easy set up is done, you simply use your cell, tablet, laptop or other device to control the color of each individual light bulb, as well as its on/off function. You can even control your lighting system when you’re away from home, which comes in handy when you’re headed home in the dark or when you’re on holidays and want the house to still look occupied. For a more comprehensive home-automation option, consider the SwannOne hub, developed by one of the leading security companies in the world, Swann Security. Apart from controlling lighting in your home with the system, you can also use it to automate other things such as appliances, temperature settings, locks, alarms, and more. The hub is controlled by a simple app that you download to your smartphone, tablet, or other gadget, and it allows you to control a wide variety of devices in your home, no matter your location. The SwannOne home-automation hub can be customized according to your requirements. The system includes a number of different kits, so you simply purchase the units that will best suit your needs. You can start off with a basic setup and over time add in additional functionality, some of which may require electrical installation by a professional. The customizable nature of the hub and its ability to be scaled is one of the best features of its design. If home security is your top priority, you’re sure to like the Dropcam Pro technology. The video camera security system, once it has been connected to a Wi-Fi network, sends ongoing video footage of its surrounding area to a cloud storage system that can be accessed remotely from anywhere in the world by users. Once you have the system installed, you simply need to log in to the Dropcam app from your smart gadget and you can check out what’s happening in and around your home. If you want to remotely keep an eye on pets in your backyard, or just make sure that your home is safe and secure, you simply need to take a look at the camera’s feed. In addition, Dropcam Pro can also be set up to send notifications to users when motion or a sound is detected in the vicinity of the camera.